SwedishHost is a trademark for server hosting, mainly game-servers and voice-servers. The brand is owned and managed by Wireline AB. The main goal is to lease servers with Scandinavia as a geographical focus. We offer game server rentals at very low rates. We can also offer competitive prices were you, as a customer, do not have to spend money on expensive hosting services that can't keep their promise. Our range consists of the games Counter-Strike (1.6, CZ, Source, Promod), Left 4 Dead, Team Fortress 2 and others. We are constantly developing our systems and expanding our services in terms of new applications and games for rental. Our vision is to offer you as a gamer a full range of today's online games. We can offer package pricing on larger volumes, and tailor a solution to suit you, your clan or association. Our servers are currently located in one of Swedens most modern datacenters, Portlane Västberga DC (PVDC). PVDC is located in central Stockholm with very good connectivity to all the major Internet Service Providers. The datacenter is using the latest technology for cooling and UPS to give us the high availability we demand. We are using the latest technology from both Intel™ and AMD™ to maximize the compability with the latest games. 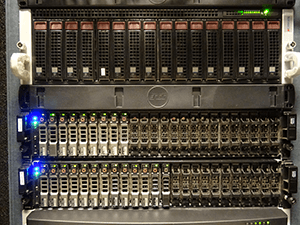 Our servers are provided by Dell™ and Supermicro™. Continues upgrades are periodically done within our environment to meet the high demand our customers put on our servers. 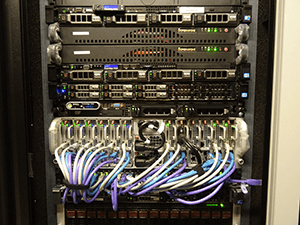 Each server is direcly connected via a 1 Gbps port towards Admax core of 40Gbps, which in turn is connected to Portlane Backbone with over 200Gbps capacity together with a redundant connection towards Glesys. This make our servers and network be utilized in an ideal way with a fast and reliable connecteion to the whole world and we can offer extremly good latency. Support / SponsorshipAdd a support ticket on the contact page.